A woman pulled up next to me this morning and gave me the food you see above. She had seen me earlier and thought I could use something to eat, so she went to the nearest store and picked this up for me. A mile or two down the road another woman pulled over and dashed across the road to hand me some money. "I don't know if you've fallen on hard times or what, but here, buy yourself some lunch." The choice of food is fascinating. Maybe it was chosen over other foods at a supermarket, or perhaps it was simply what was available at a gas station. To be clear, the act was generous and wonderful, and I’m not judging any of it. (I’m sitting here eating cake for breakfast.) I’m just fascinated by what it says about our culture and food. She said something like “This was all they had”, so I think it’s probably from a gas station. I’ve been thinking a lot about gas station food options on this walk, since that’s the only food available in a lot of small towns. Perhaps this would be a good subject for a future post. The cemetery in the background of this food is creeping me out and making me hungry. 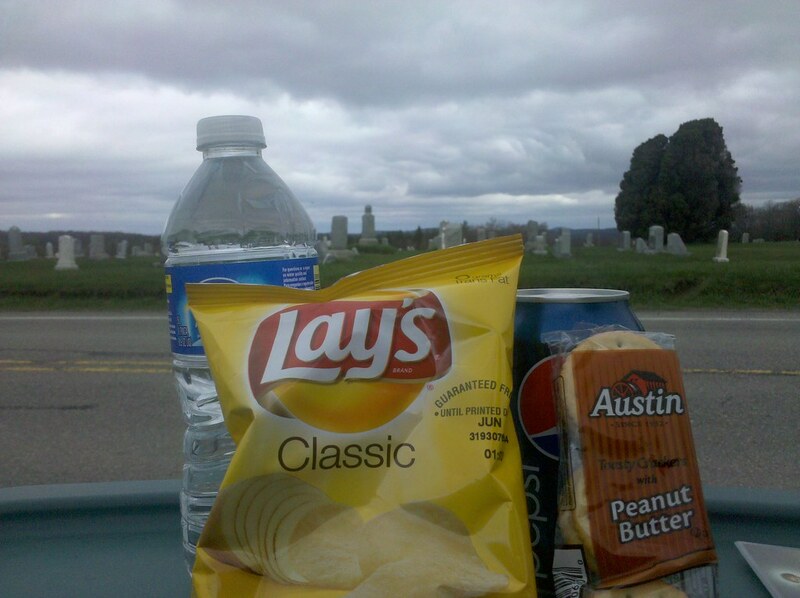 LOL, what an irony… Junk food with a cemetery background. This picture could be used as an ad for poor health choices. Women seem to be chasing you down. 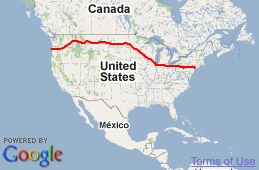 Walking across the country makes you a babe magnet.